I was going to write this Monday, but I got sidetracked . . . I have developed the art of procrastination into an art form. (Ask anyone who knows me). I can look like I'm working on something, to the point that casual onlookers could testify in court that I was on task and not fear charges of perjury, and yet not actually get anything done. I can spend hours with the appearance of someone deep, deep at work, right down to sweat-tinged brow and bloodshot eyes and be no closer to completion than when I started. 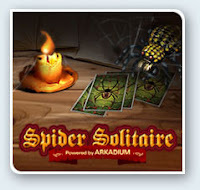 I can click between my current WNIP (work-not-in-progress) and Spider solitaire so fast that it can't be registered by the human eye, in case someone is checking up on me. It's a gift and a curse. On the one hand, I can sometimes wheedle out of doing dishes or going grocery shopping because I am "writing." On the other hand, I can pinch a deadline so tight it bites me back. Take this past weekend for example. I spent three days in writing hell. And I have no one to blame but (mostly) myself. August 1st was D-day for me, as in several writing Deadlines were due. I had three novel scenes to submit for a mystery writing retreat that I'm attending in September with CJ: the opening scene, a scene that introduces a main character, and another complete scene from my WIP. Since this is a new project, I had to start from scratch. 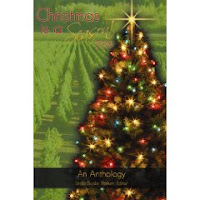 August 1st was also the deadline to submit to the anthology Christmas is a Season! 2009 (Linda Busby Parker's Excalibur Press). I had been working on a story but had set it aside to do the retreat pieces. Let me interrupt myself here to say that the way I deal with stress when something has to be done is to do . . . nothing. And the corollary is also true: the more that needs to be done the less I do. Again, this is true—ask anyone who knows me. These deadlines had me in total paralysis. Aggie did not feel welcome. Aggie did not feel welcome. The doormat at her feet looked like it was made from the backsides of feral boars. And instead of "Welcome," "DOBBS" was printed in thick block letters. Aggie did not feel welcome. She looked from the welcome mat that looked like it was made from the backsides of feral boars to the brass gargoyle doorknocker the leered at her with chilling blank eyes. Not welcome at all. So, after four hours of working, I have 40 words, which averages out to about 6 minutes per word. And that only includes the time I was "actively" working and not the time spent skimming my writing books for clues on how to write a scene, looking at opening scenes in 8 or 10 novels on my book shelf, and the other 40 games of Spider that I played while "in deep writerly thought." Aggie did not feel welcome. She looked from the welcome mat made from the backside of a feral boar to the brass gargoyle doorknocker leering at her with chilling blank eyes. Not welcome at all. See? Now it's down to 35 much crisper words. 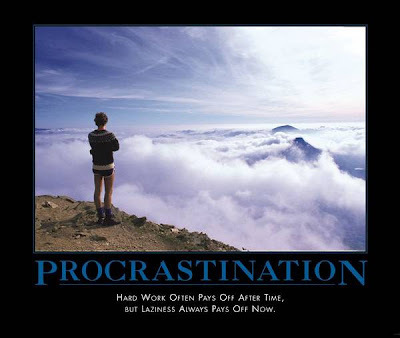 And that's the real problem with being a procrastinator. As the deadline approached, I no longer had the luxury of 8 minutes per word. As it was, I wrote for 3 days solid without bathing, and barely breaking for bathroom pit stops and to refill my coffee mug. The downside, besides nearly killing myself and going blind, is that I didn't get to run any of these past my crit group. The pieces went out into the world raw and wild. While on the one hand, the attendees at Seascape may feel they got their money's worth after slicing and dicing my ms pages, it's embarrassing to know you've sent out work that isn't your best polished words. On the other hand, there's a good chance my story won't make it into the anthology because it needs too much editing. Why would an editor take something that isn't polished when she has stacks of manuscripts that are nearly publishable as they stand? So, I'd tell you that I will never procrastinate again, but chances are you'll see another blog post just like this one some time in the future. Just ask anyone who knows me. Just testing the Comments feature. Awesome post, Tracy! I concur with Tracy's assessement of Tracy. I think your next story should be a story about procrastination. Write what you know, as they say. I hope you got an extension from Linda for the anthology, Tracy!